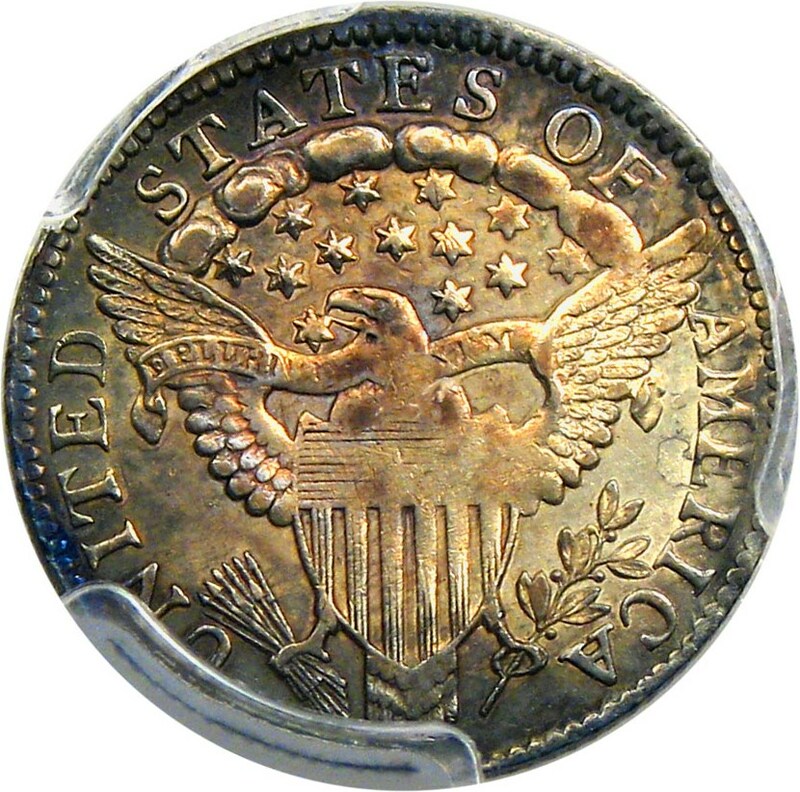 A desirable early draped bust type coin with the large eagle reverse. 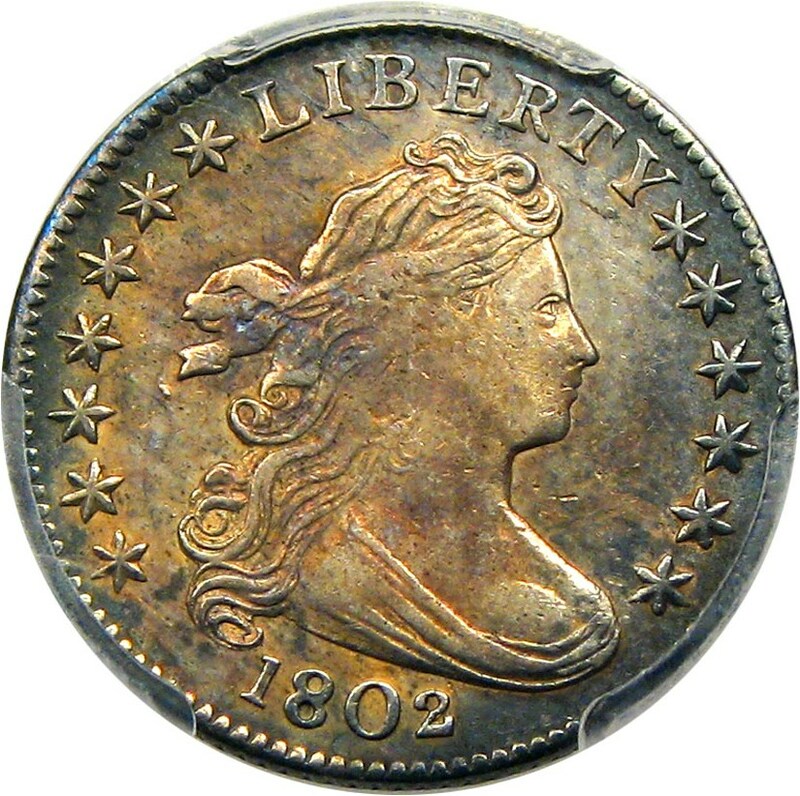 Low original mintage of just 10,975 coins and just the second lowest in the series to the 1804. 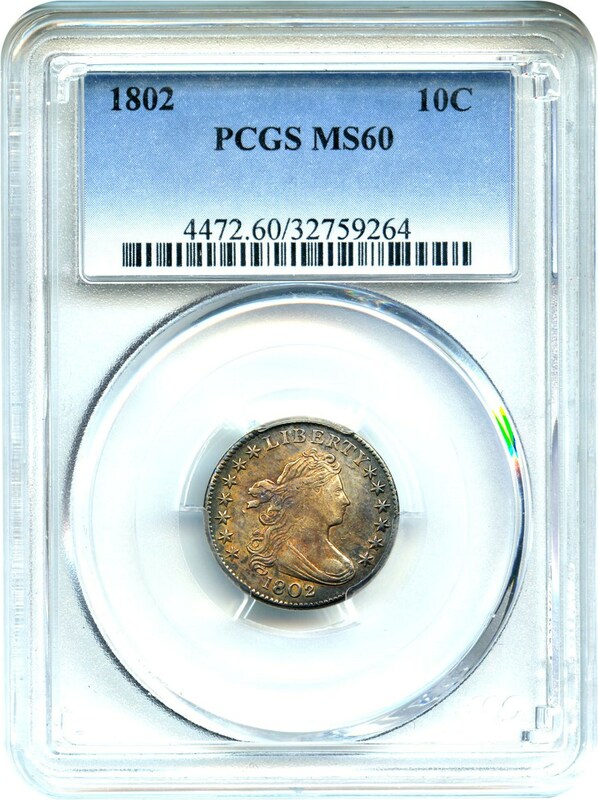 Only 6 others graded higher at PCGS. 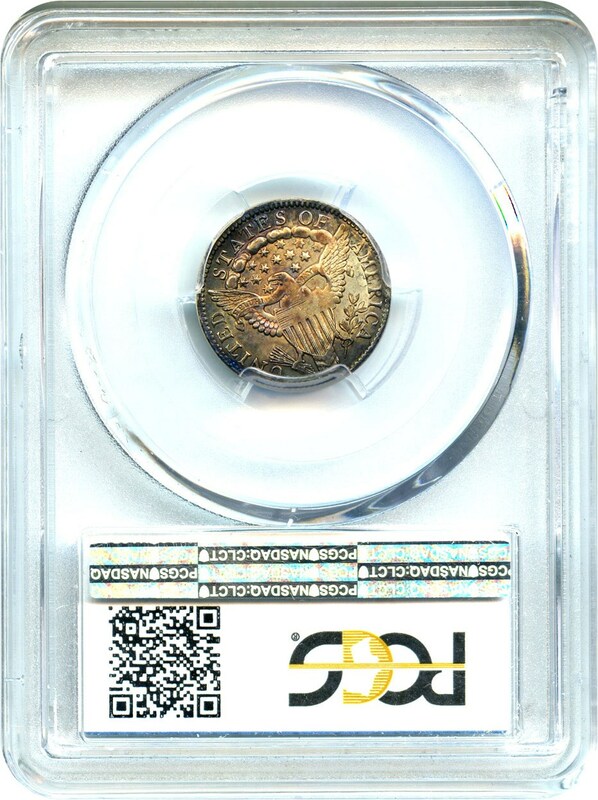 The pretty dark purple peripheral toning creates for very nice eye appeal.